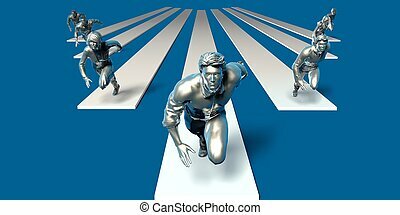 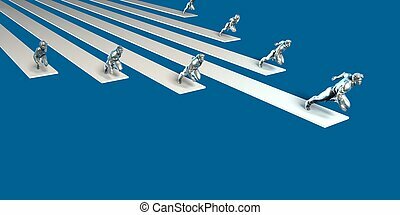 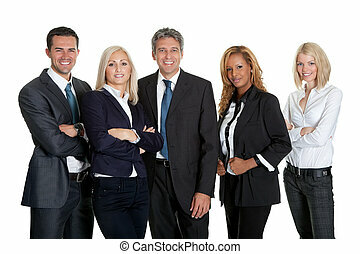 Dynamic business team. 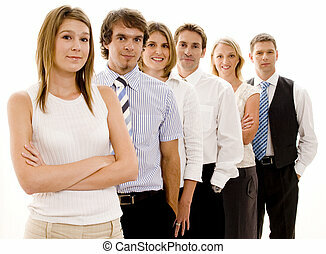 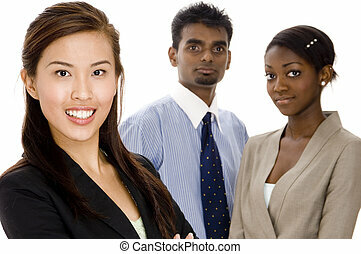 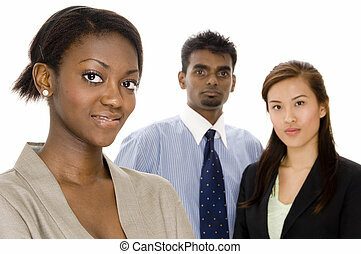 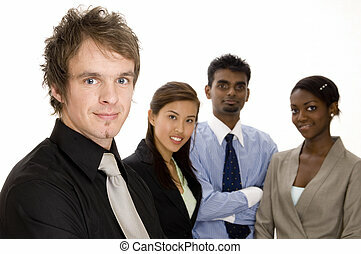 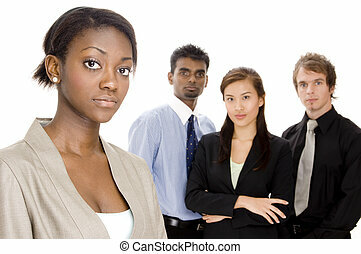 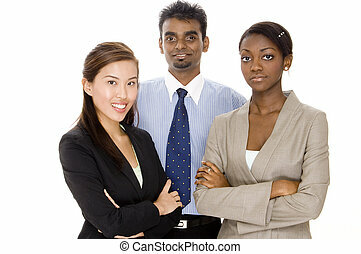 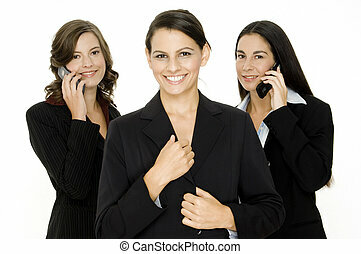 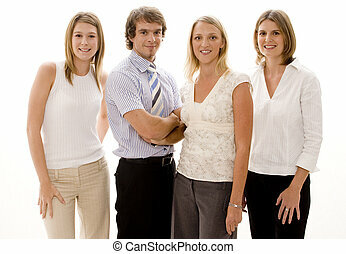 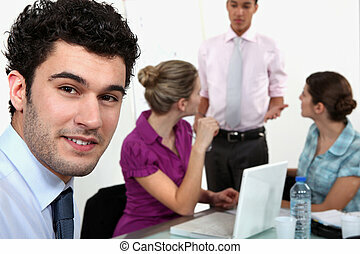 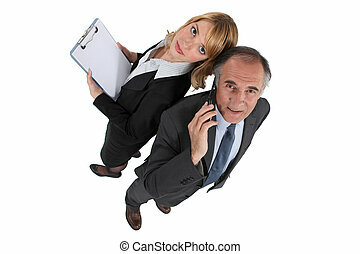 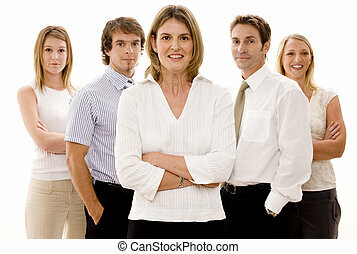 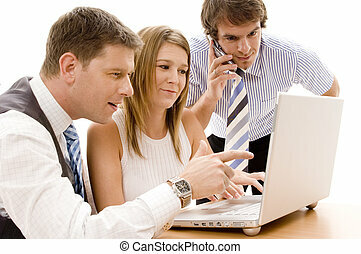 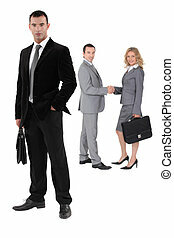 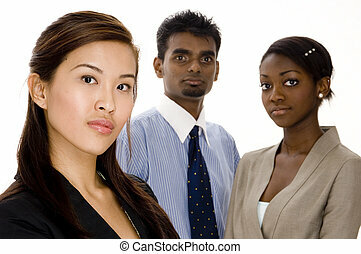 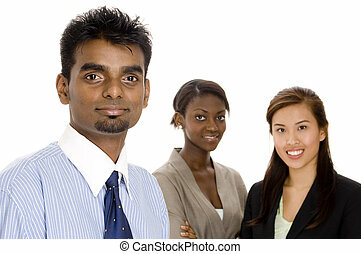 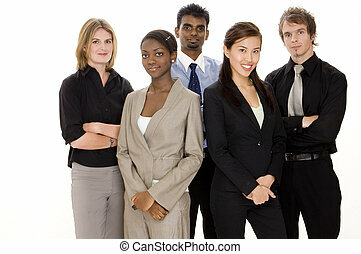 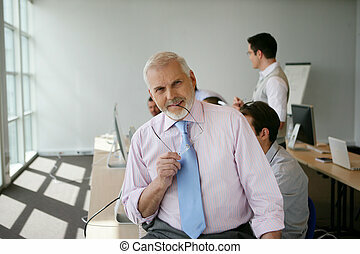 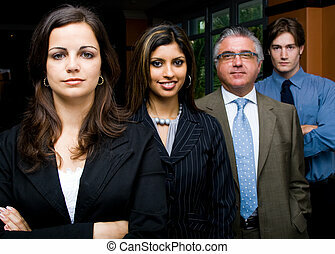 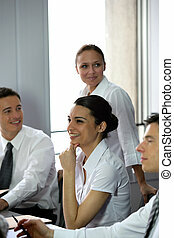 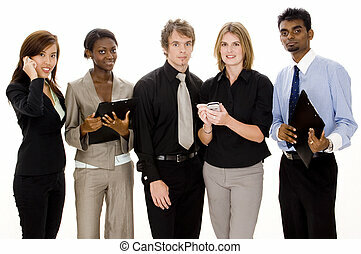 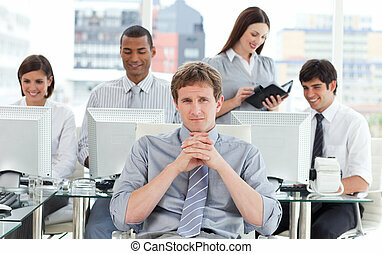 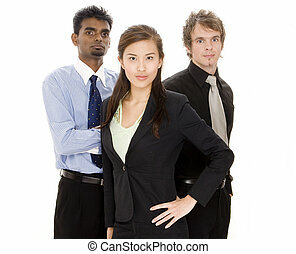 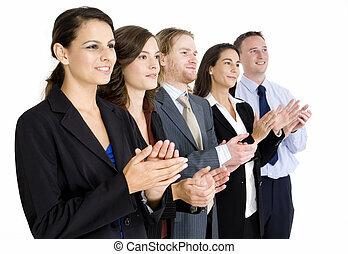 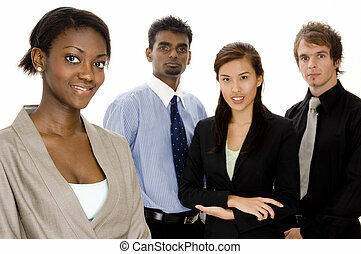 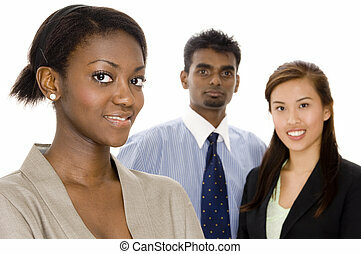 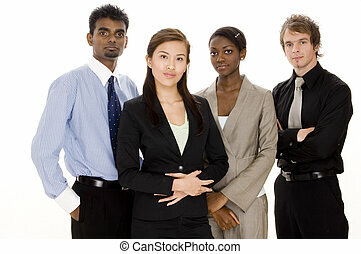 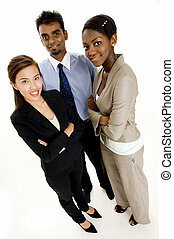 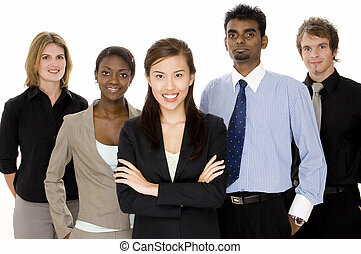 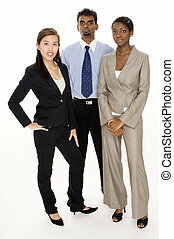 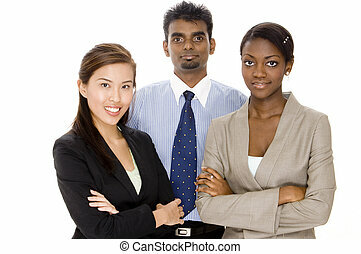 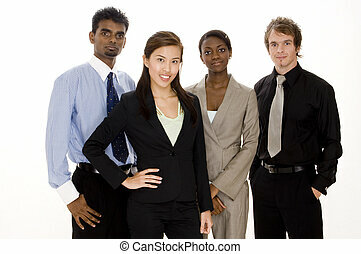 A young asian businesswoman standing in front of her two colleagues. 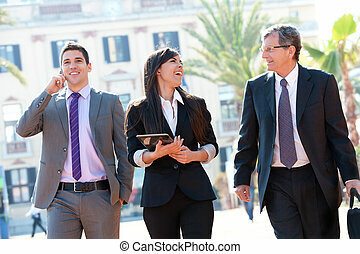 Dynamic Business team laughing at outdoor meeting.